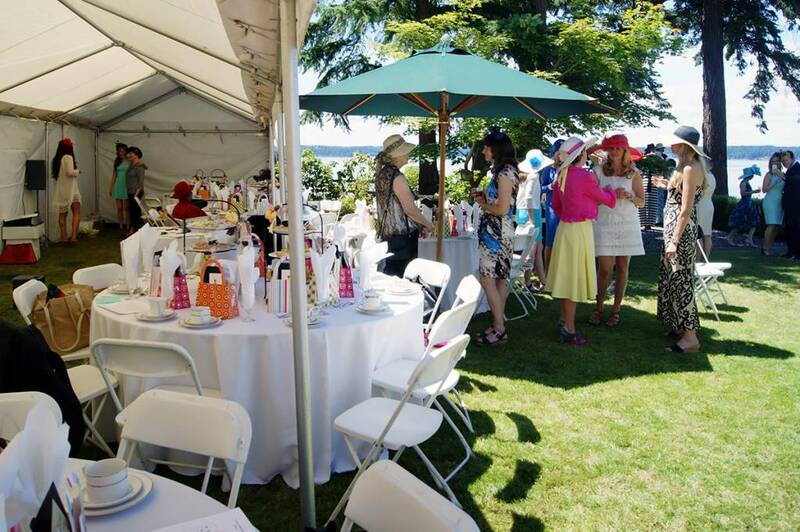 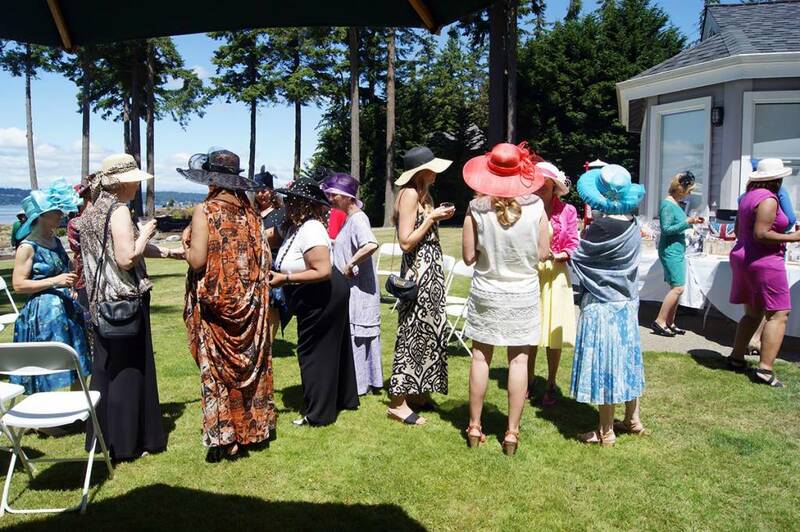 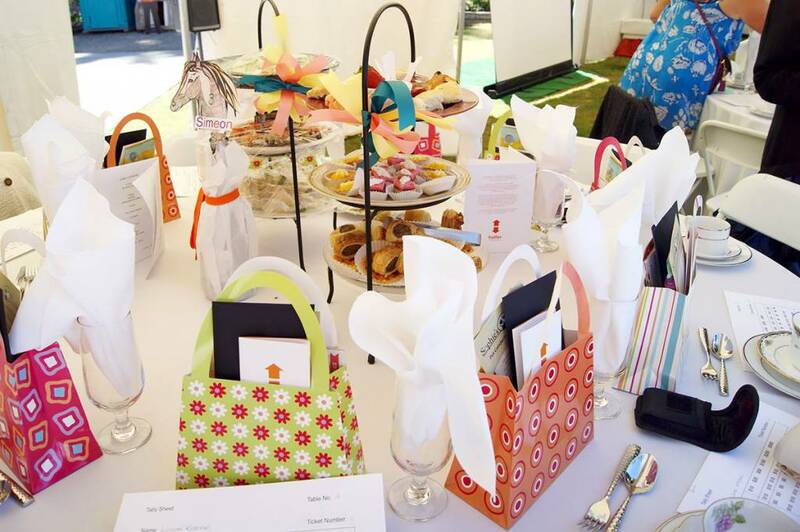 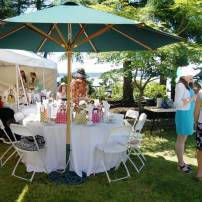 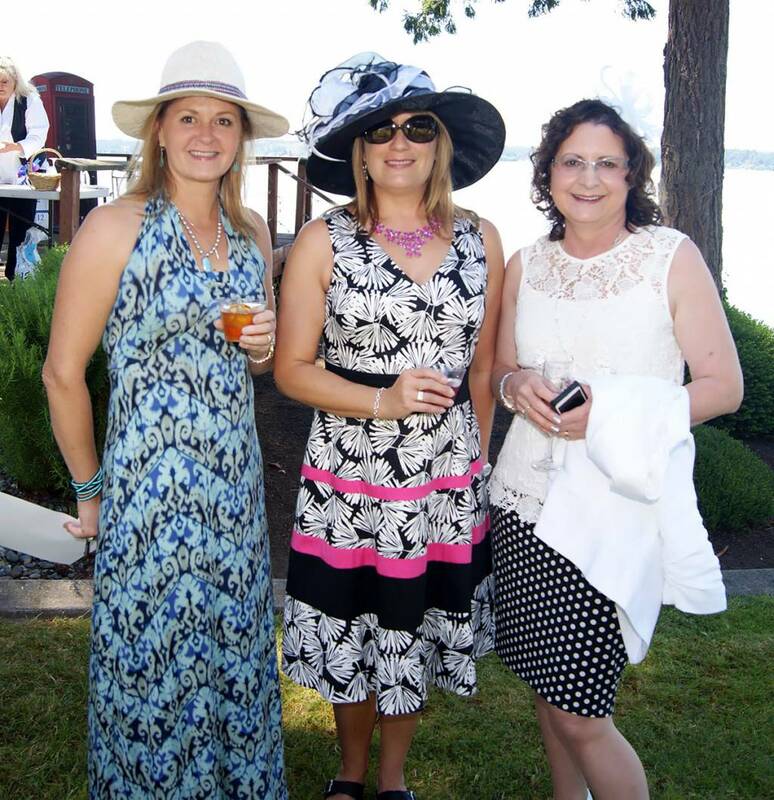 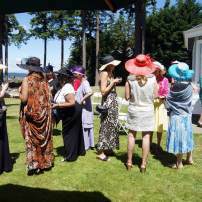 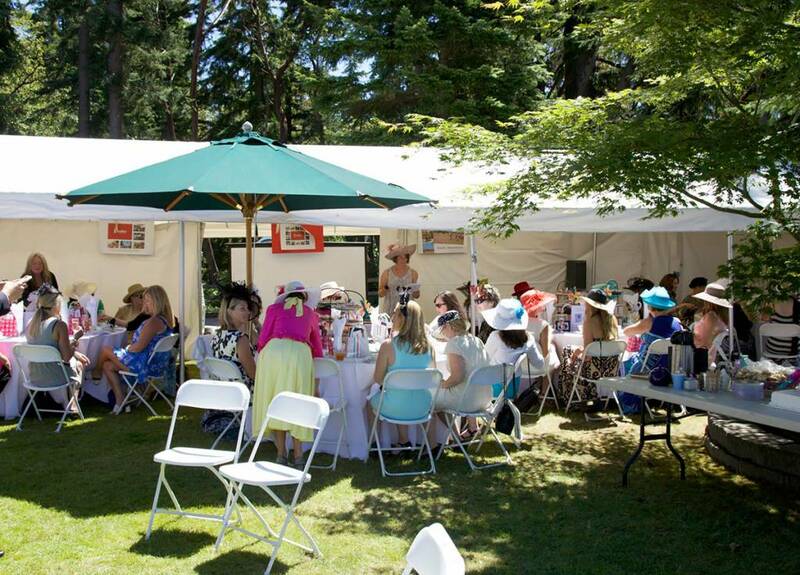 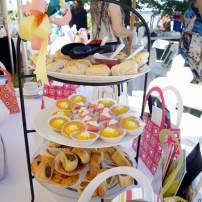 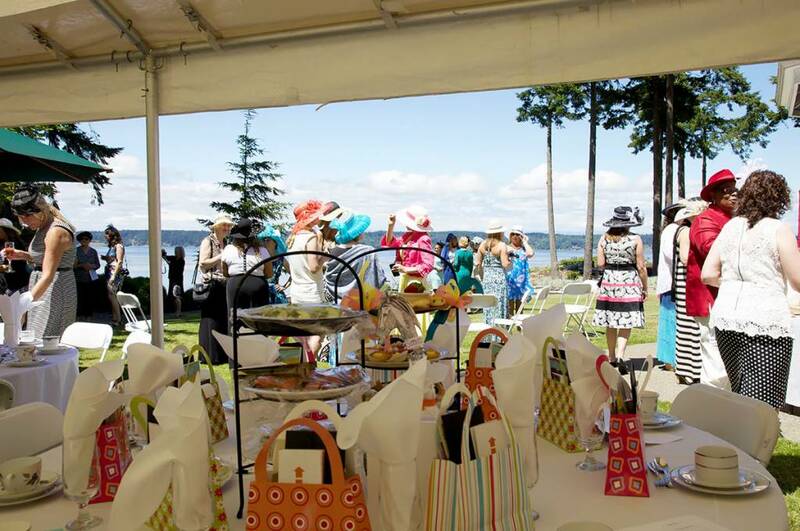 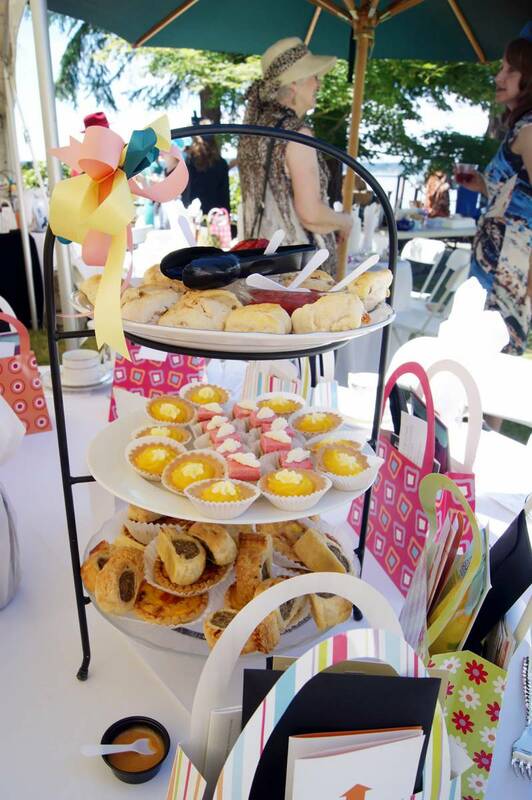 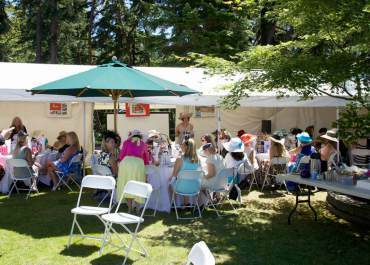 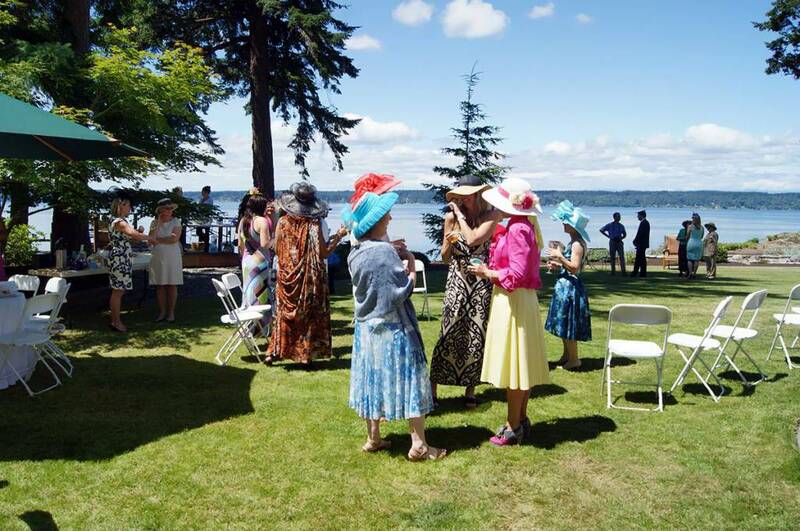 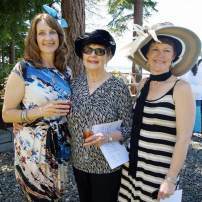 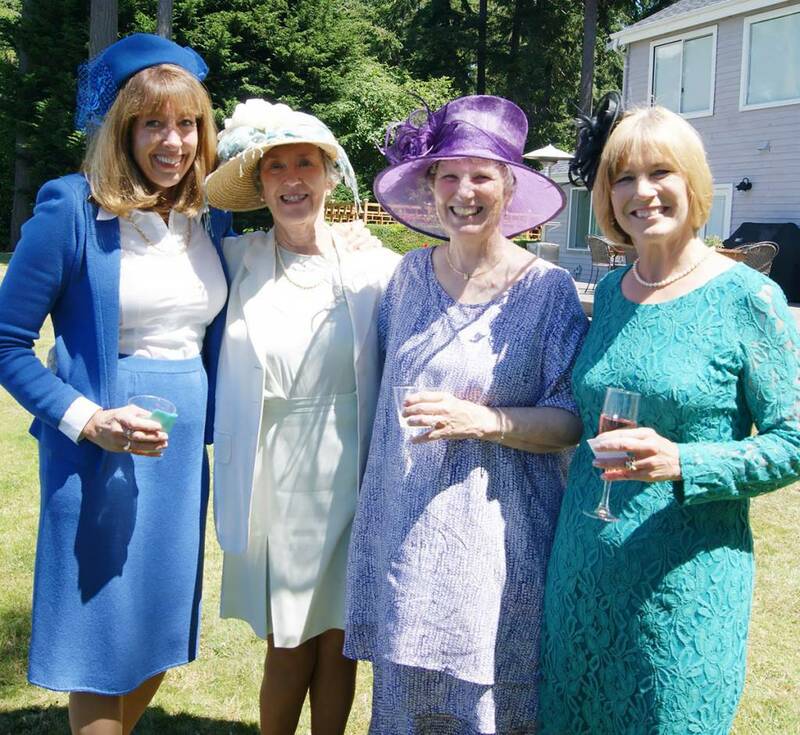 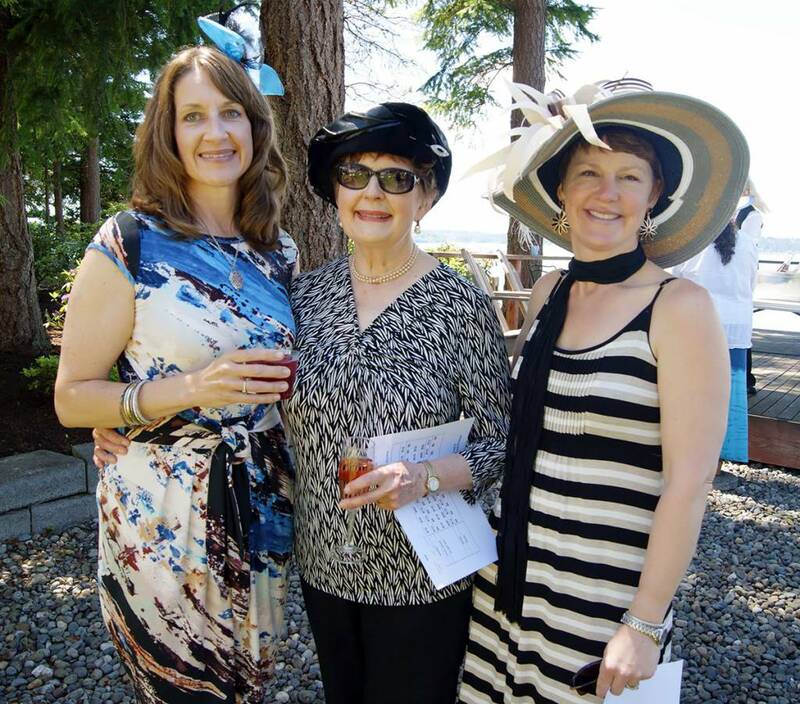 More than 50 women gathered for a British high tea in Gig Harbor in June — not just for a fun afternoon but also for a good cause. 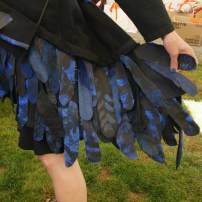 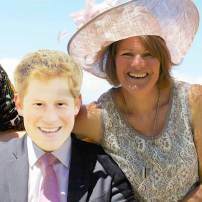 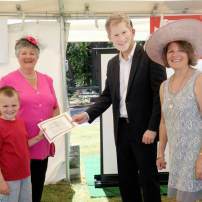 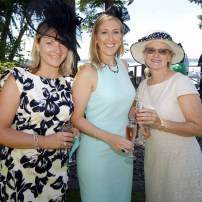 The Royal Ascot Northwest Style, in its second year, raised money for Haller, an international environmental organization. 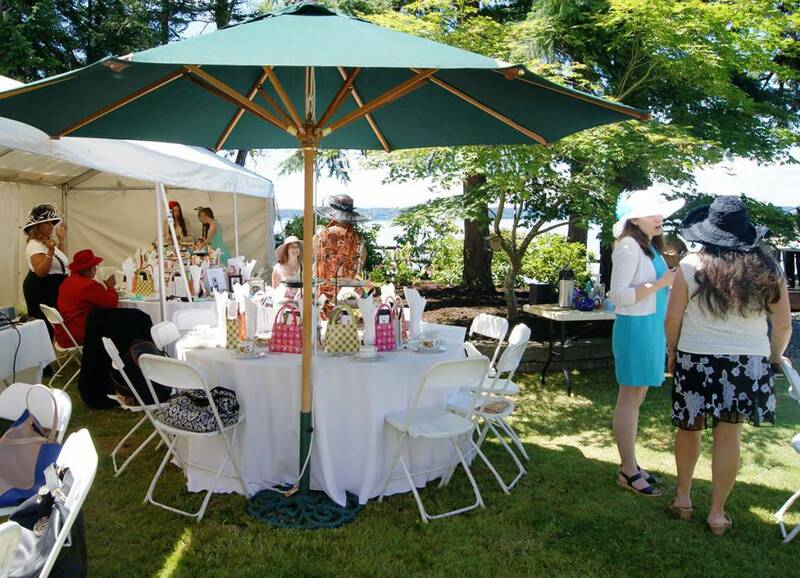 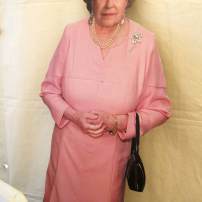 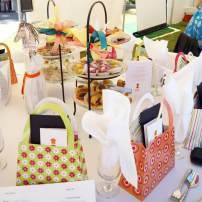 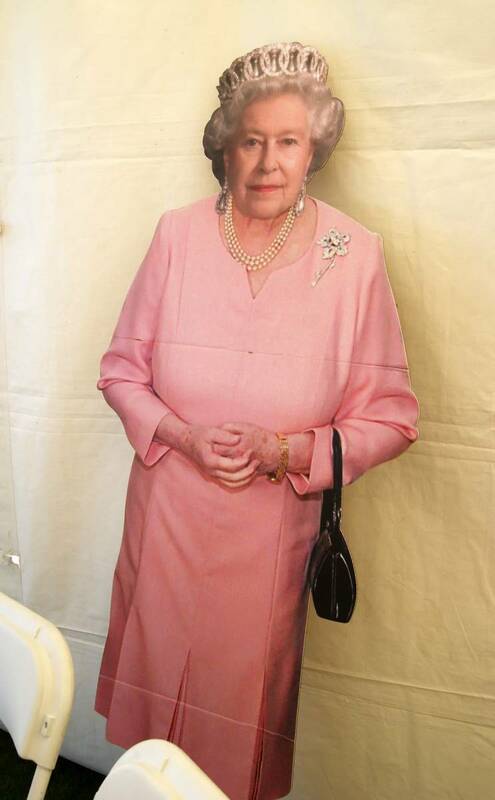 The elegant outdoor affair included authentic high tea of British delicacies and libations as well as an auction. 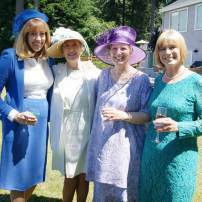 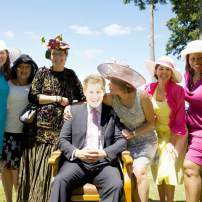 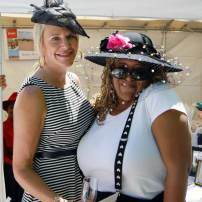 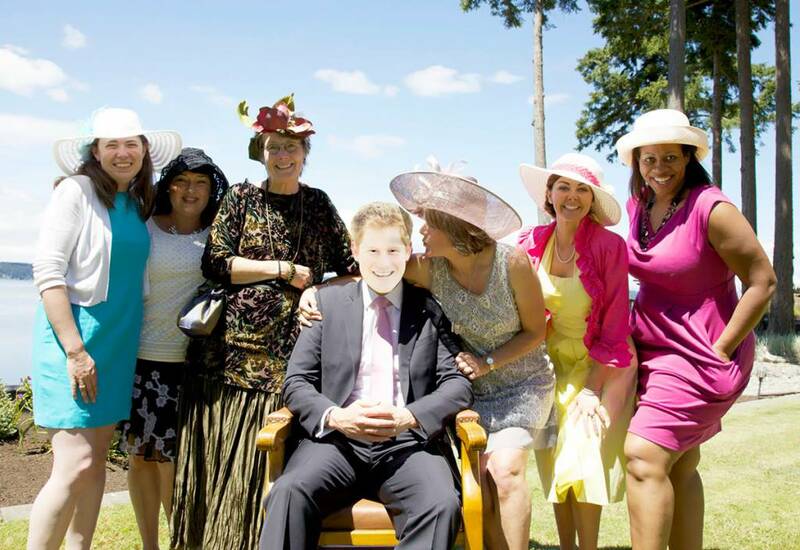 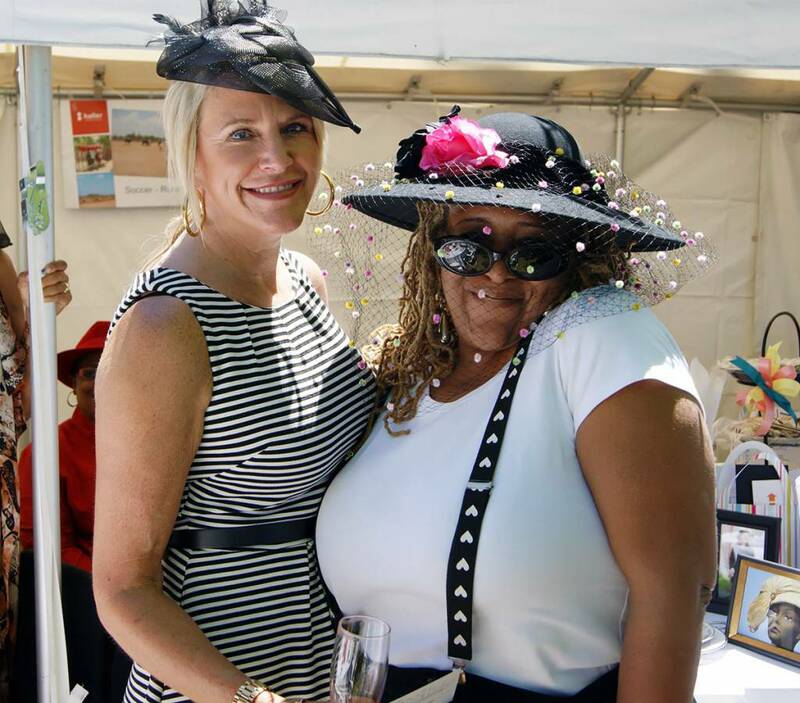 The women — dressed up and wearing colorful hats — cheered on their favorite horses from the Royal Ascot Horse Race, which was shown on a big screen via delayed telecast from London. 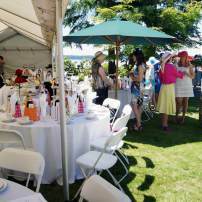 The race is similar to the Kentucky Derby, and a favorite event of British high society. 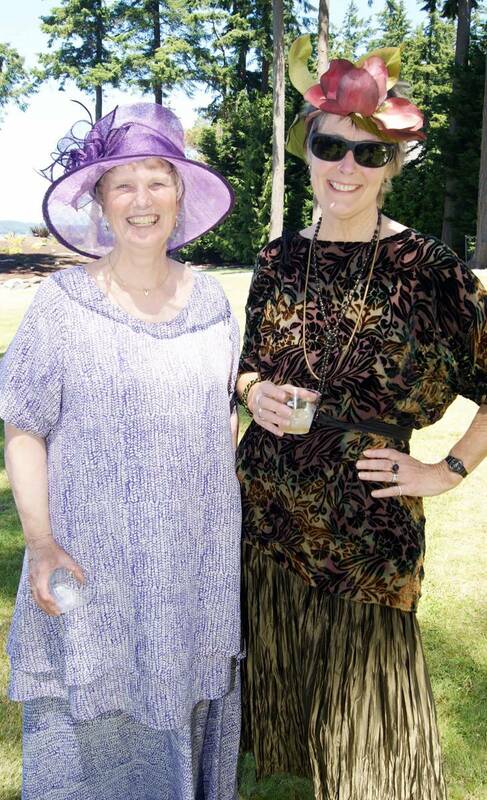 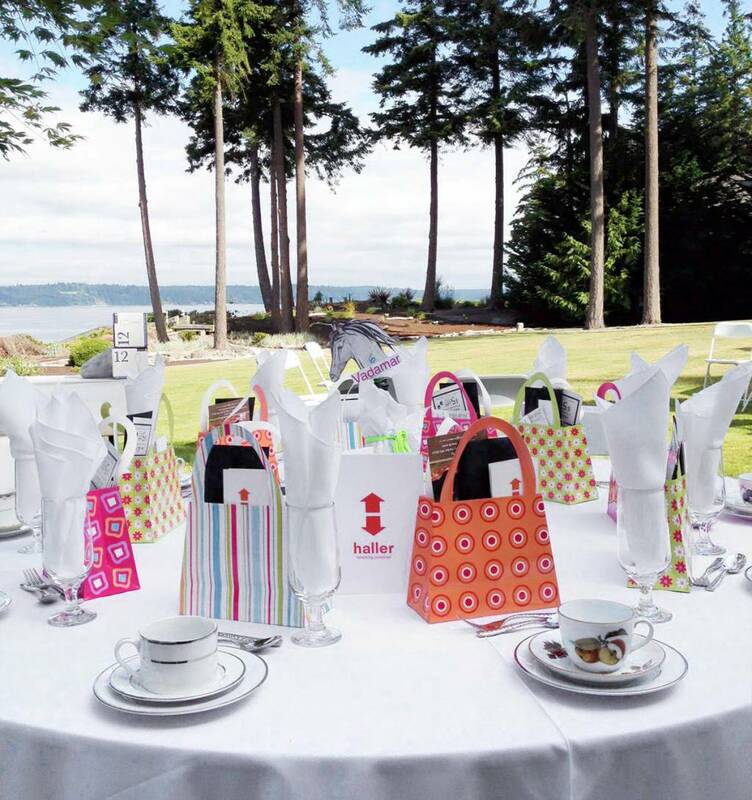 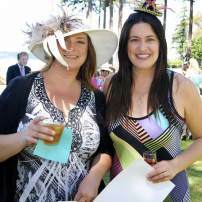 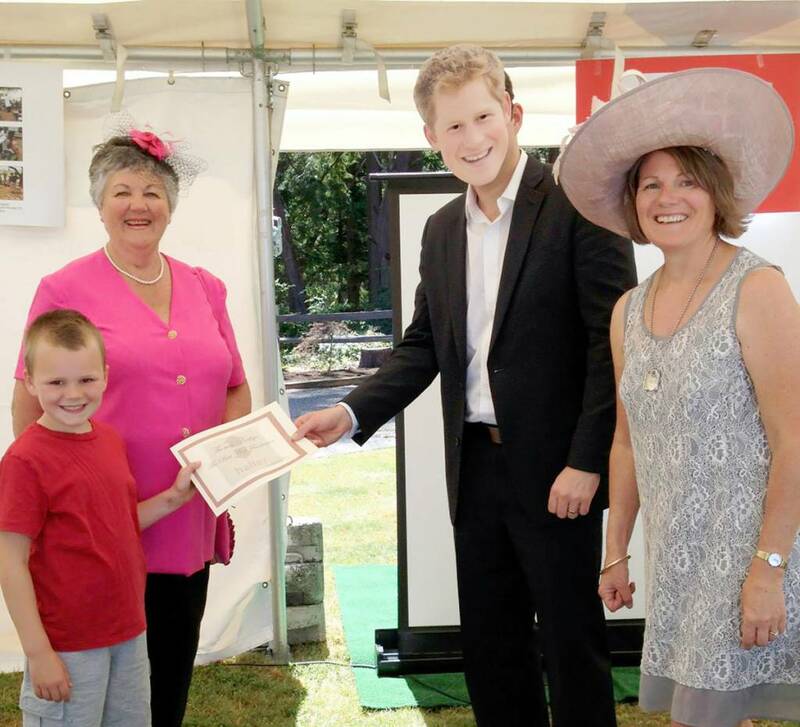 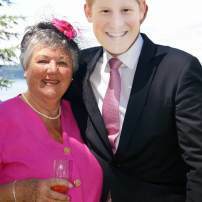 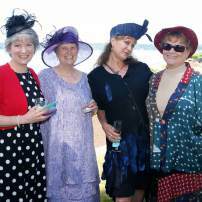 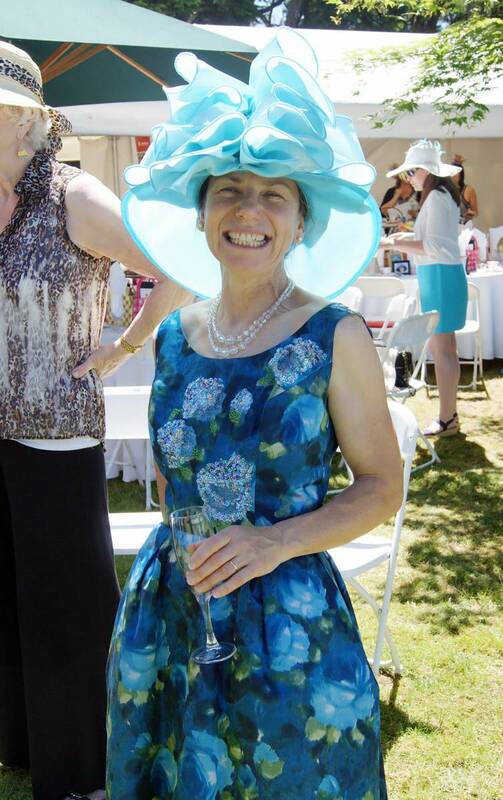 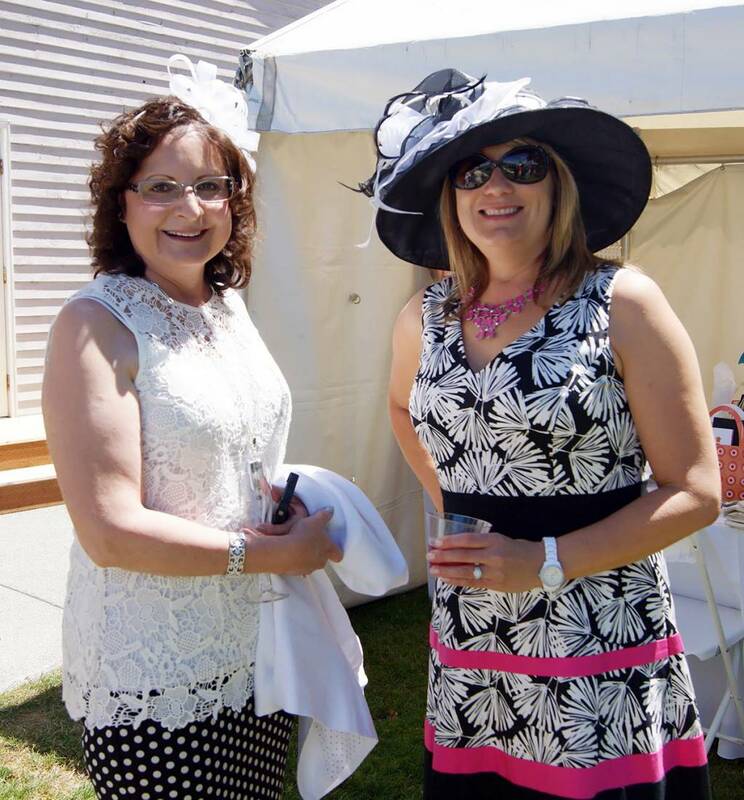 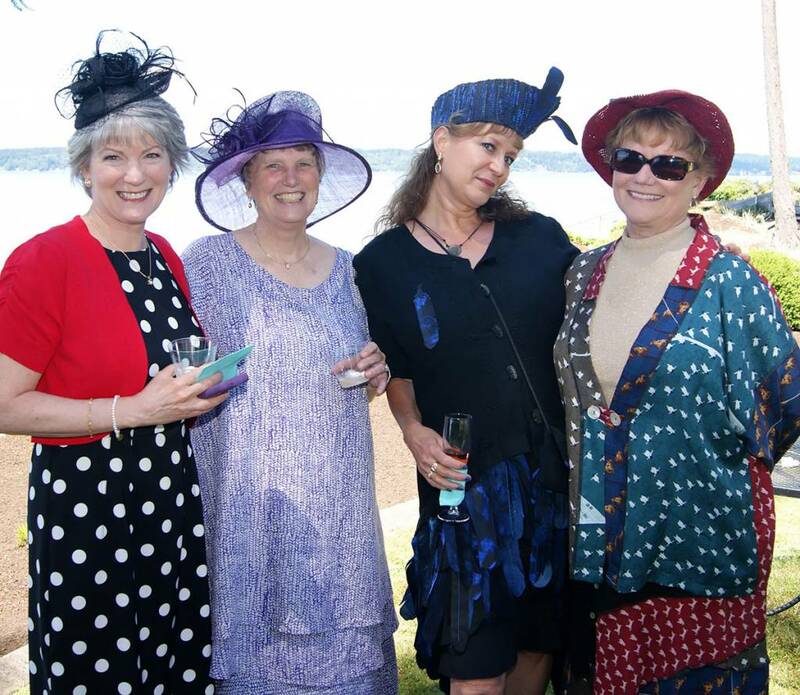 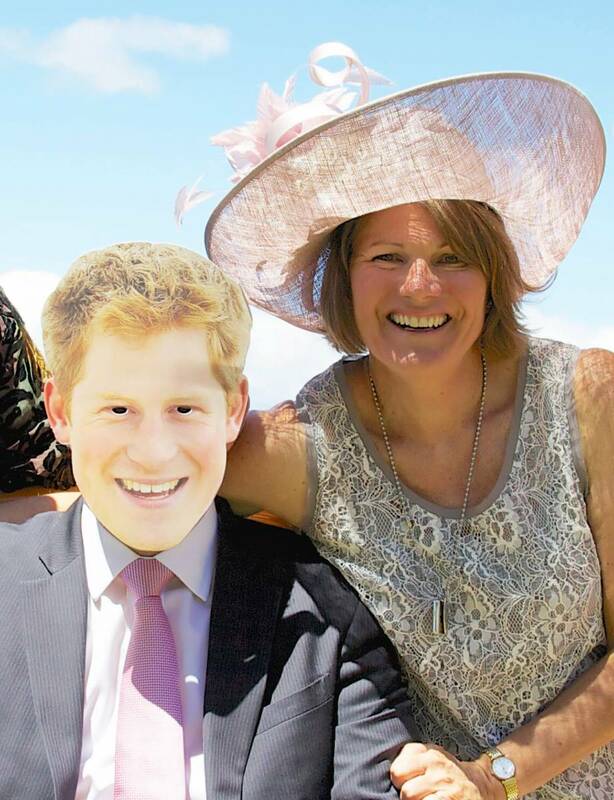 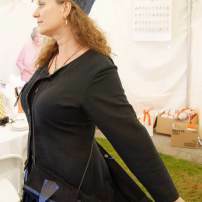 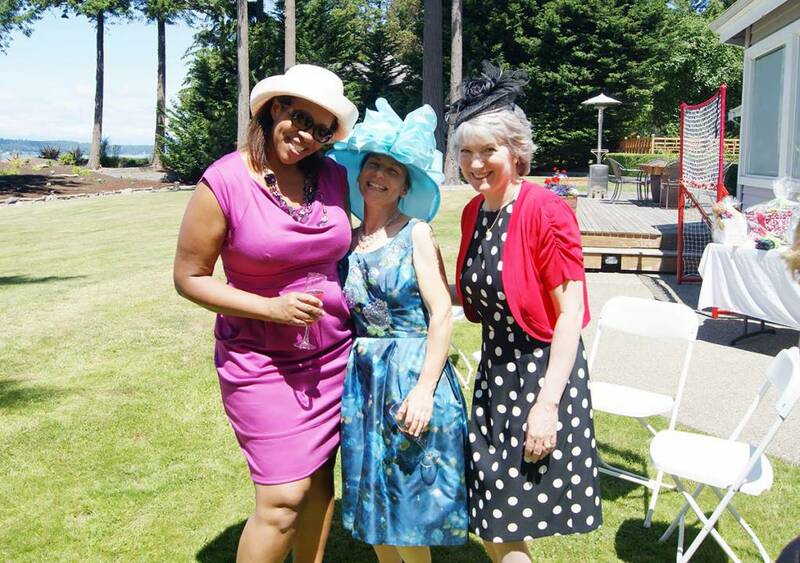 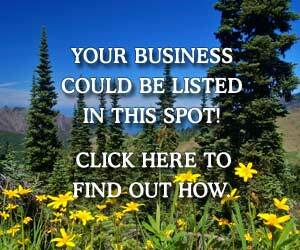 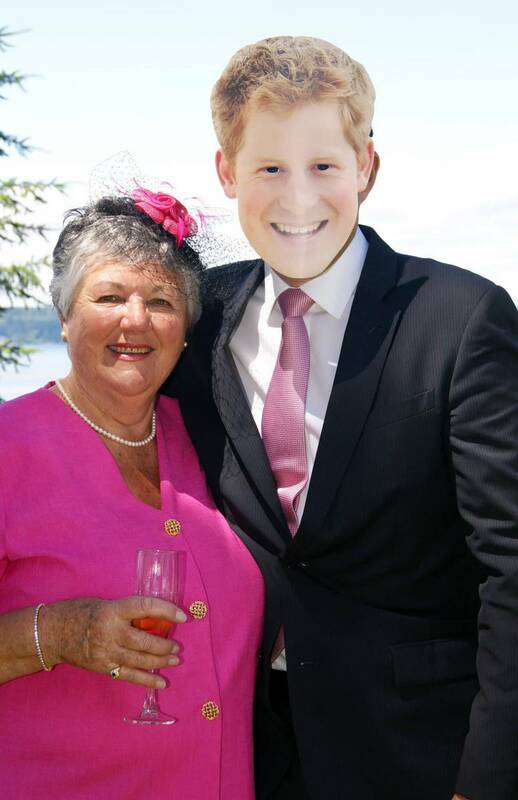 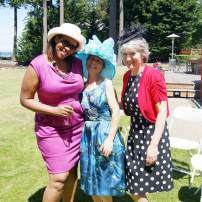 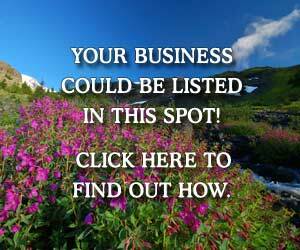 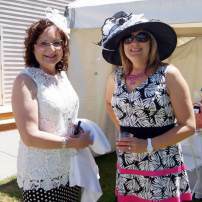 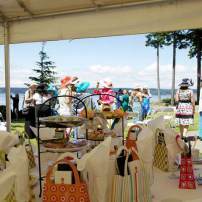 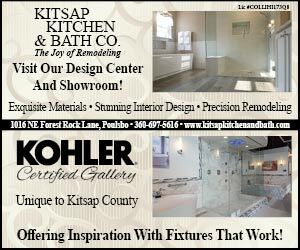 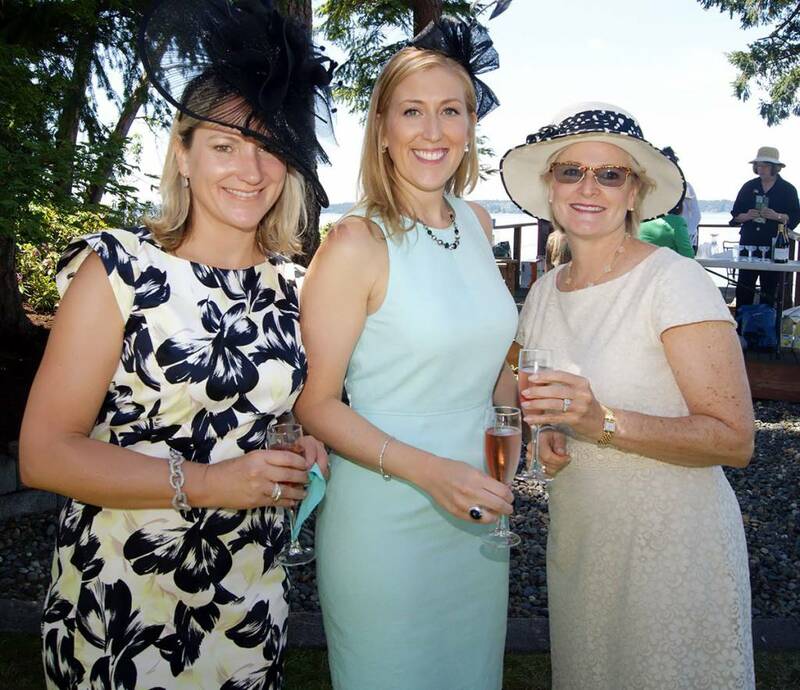 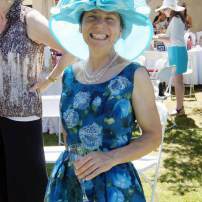 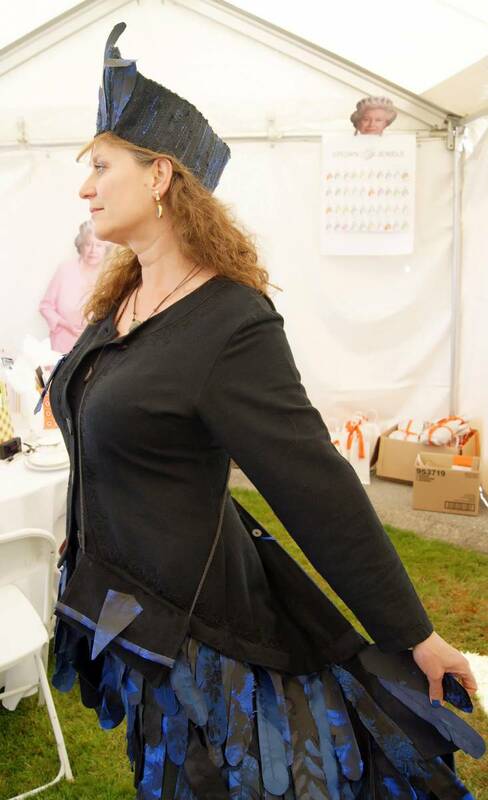 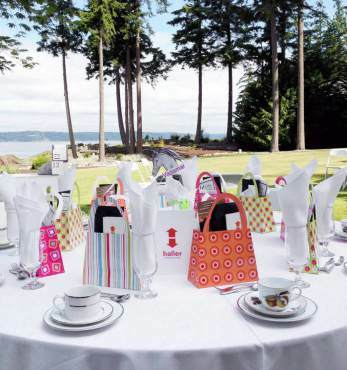 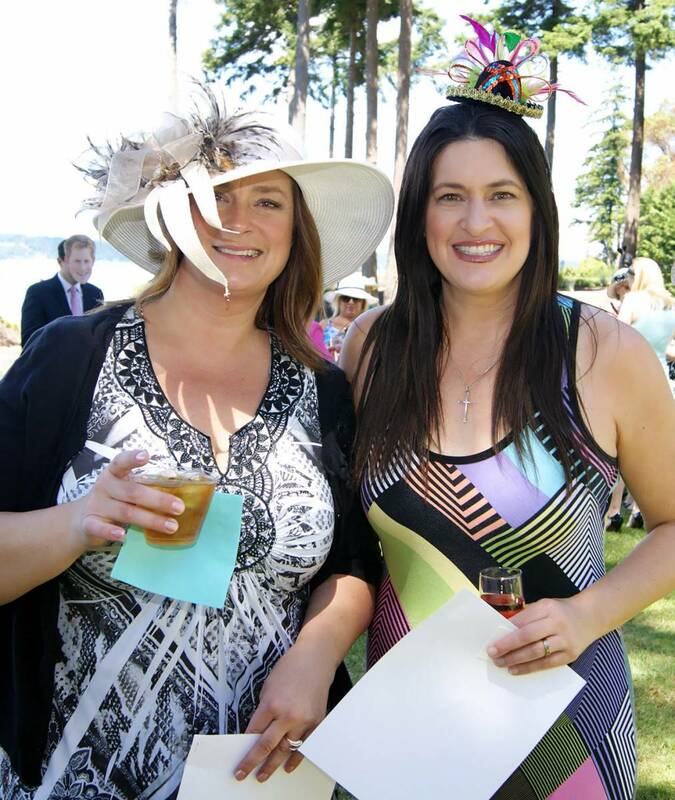 The high tea’s organizer, Gig Harbor resident Kerryn Battye, is an ambassador for Haller. 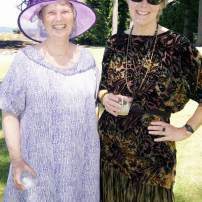 An Australian native, she became involved with the organization when she lived in London several years ago, and was asked to be the U.S. ambassador when she returned to the states. 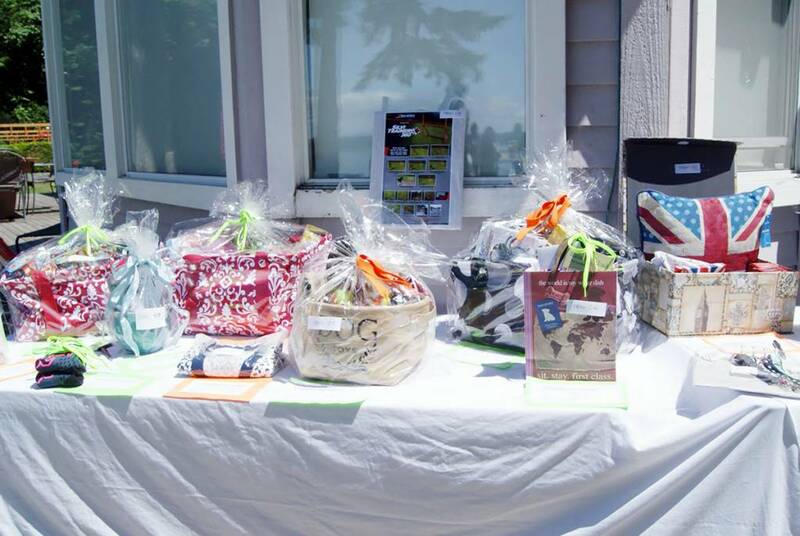 Haller’s mission is to bring economic security to poor farmers living on inhospitable land in Kenya. 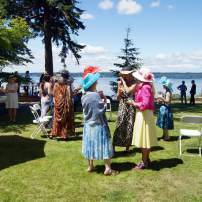 The organization’s work is based on the techniques of the award-winning environmentalist Dr. Rene Haller, a UNEP Global Laureate renowned for his restoration of cement quarries in Kenya. 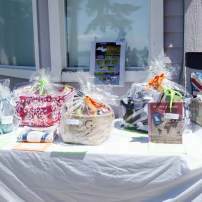 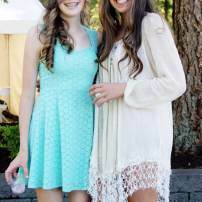 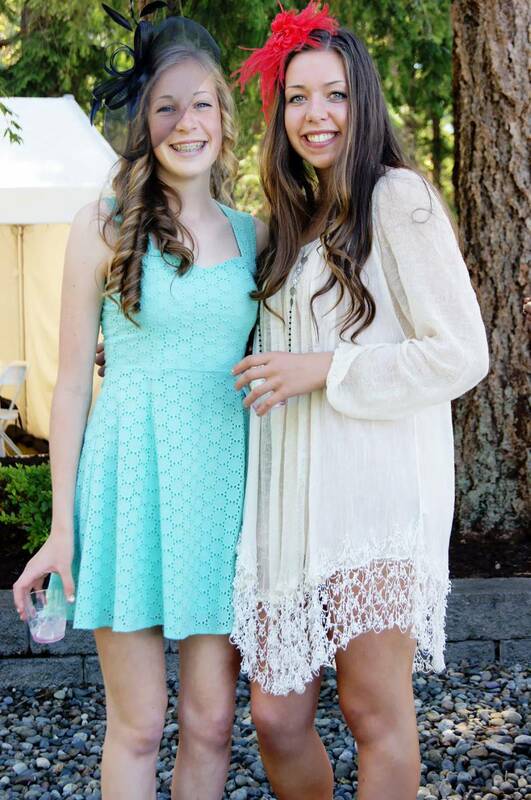 This was the second year for Battye hosting the fundraiser in Gig Harbor, to raise awareness and money for teaching remote communities of Kenya how to become self-sufficient by creating their own water supply. 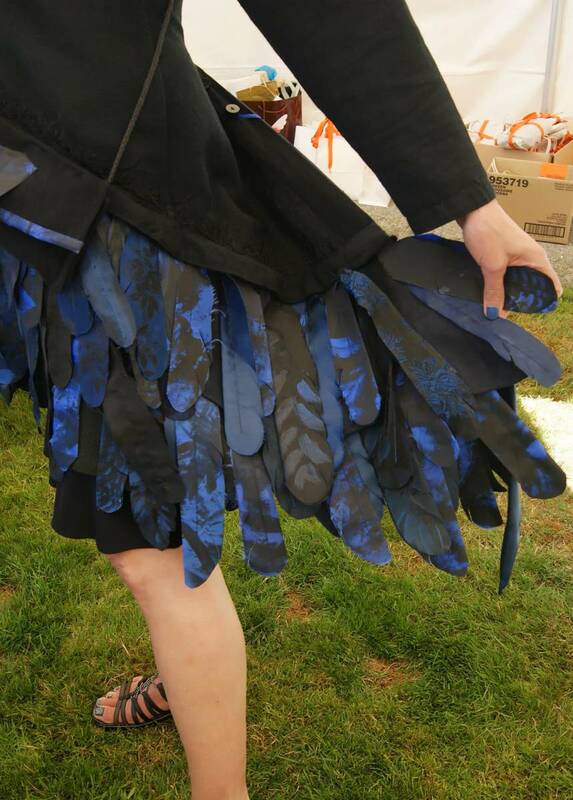 The event raised nearly $5,950 this year, more than double of last year’s proceeds.